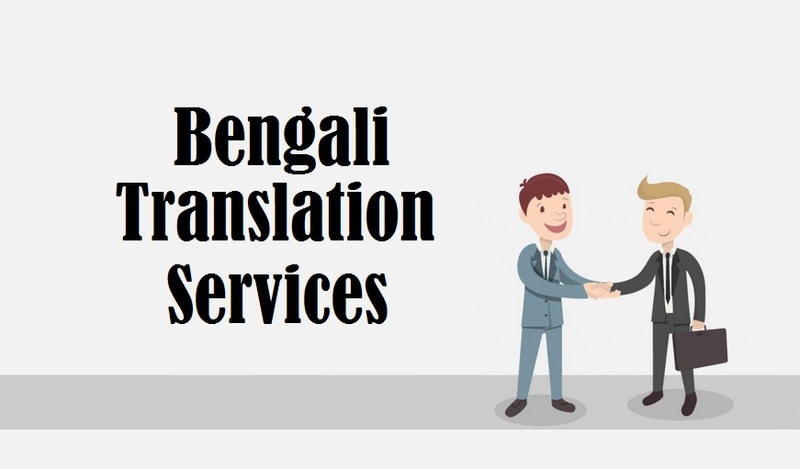 Highly trusted Bengali Translation Services by 1000+ certified Bengali Language translators who deliver exceptional translation in 200+ language pairs for various industries, viz. medical, engineering, tourism, media, marketing, legal, manufacturing, real estate, healthcare, technical, hospitality and various others. Since the past 15 years, we are known to be a reputed Bengali Language Translation Company in New Delhi UAE India Mumbai Chandigarh Hyderabad Bangalore Amritsar Kolkata Chennai and several other locations worldwide. Thus, we offer comprehensive and quality translation at any location around the world. Dealing with numerous academic institutions, diplomatic missions, government departments, universities and industry stakeholders at national/international levels, we foster mutually beneficial relations with our clients. Further, we assure that the translation project is delivered to the client with proper proof-reading and editing. This implies that an error-free translation assignment will be delivered to you within specified time frame. • Bengali language constitutes of almost 210 million native speakers. • It is widely spoken in Tripura, West Bengal, Bangladesh and parts of southern Assam. • The language is highly popular for its millennium old history, literature and folk heritage. • The language is regulated by Paschimbanga Bangla Akademi (West Bengal) and Bangla Academy (Bangladesh). • Bengali is also spoken by the Bengali emigrants living in United Arab Emirates, Pakistan and Saudi Arabia. • Both of the national anthems of India and Bangladesh were composed in Bengali. • Cholitobhasha (চলিতভাষা): It is the known as the standard written Bengali style, which became popular around 19th century. • Shadhubhasha (সাধুভাষা): It consists of Sanskrit-derived vocabulary and songs, such as Vande Mātaram and Jana Gana Mana were composed in this form of Bengali language. • Industries: Garments, sugar, cotton, electricity, iron and steel, fertilizer, jute, fabricated metal products, ceramics, petroleum products, leather, pharmaceuticals, paper, natural gas, edible oils, tobacco, cement, soap and detergent, tea and salt. • Bengal was divided into West Bengal and East Bengal, which came under India and Pakistan respectively. • Kolkata is said to be the second largest Indian city after New Delhi. • West Bengal is famous for a number of great personalities, viz. Rabindranath Tagore, Matangini Hazra, Khudiram Bose, Maulana Abul Kalam Azad, Netaji Subhash Chandra Bose etc. • Many social reforms took place in Bengal, which made way for the independence struggle. Due to such social reforms, Bengal is also known as the Land of Renaissance. Bengali evolved from Magadhi Prakrit and Sanskrit in around 1000–1200 AD. During the Sena dynasty and Pala Empire, Proto-Bengali was spoken. During the medieval period, Bengali became the official language of the Sultanate of Bengal. This period is said to be the time when Perso-Arabic terms were borrowed to be included into the Bengali vocabulary. By the 19th and early 20th centuries, modern literary form of this language came into existence. It was during this period that varied changes, including Chôlitôbhasha came to the front as a choice for the written Bengali. In 1948, Bengali language movement was started in Bangladesh (former East Bengal), in order to protect Bengali’s recognition as the state language. Thus, Bengali came to be known as the only language, for which people sacrificed their life, in order to protect their mother language. in 2010, the language was made an official UN language. So, turn up to us and grab the most accurate form of translation at nominal rates. Our translations are so qualitative and precise that they can help you cater to your multilingual audience with utmost ease. Contact us today and know more how our translations could be fruitful to you and your business…! !